In this innovative culture and modern days, an attractive web design and flamboyant user experience are mandatory to survive in the vast and competitive realm of World Wide Web. Hence, it is critical that you implement the latest UX designs for your website. This can help make a lot of difference. The following are some of the best and the newest web design services in 2018 that can help you decide on a strategy to adopt. If you hire a web design company, then make sure that you discuss these trends with them and decide on the most suitable for your website. The impact of a design with gradient is far more than a design without it. It has enriched the prevalence to have logos and designs with gradients in them. It has had such an impact that even popular photo-sharing social media platform Instagram too changed its previous logo to a magenta gradient logo. If you are hiring a company for web design services, then you must ensure that they have personnel who can implement such changes. In recent times the usage of user interactivity has become the norm for many big websites. In the coming years, its popularity is set to increase. According to a report, users usually spend more time on web pages that have responsive features than others. One of the reasons why more number of websites do not use user interactivity now is the reluctance of the clients to pay in advance for such activity. As more web developer India looks to implement automated development processes it is estimated that the cost for clients may come down significantly. This can make this practice more common. It can be useful for you as it is not only responsible for a better website on page time, but it can also help increase brand awareness. It is a well-known fact that these days not many people have too much time at hand. Neither the visitors nor the creators. You should think about this when planning your website design. A number of websites, for this reason, are employing a design strategy whereby they are using large and emboldened titles. These are usually short messages which help to capture the audience’s attention and expedite the conversion time. 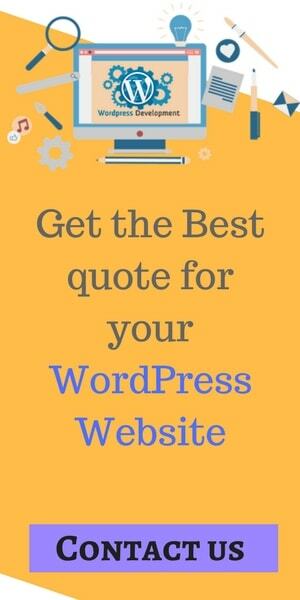 This can be particularly helpful in eCommerce website development as under such circumstances the focus is more on the product and less on the written content. This is a responsive web design trend that has captured the imagination of many web experts. Such a design has the capacity to keep the visitor engaged by keeping them interested in a story. 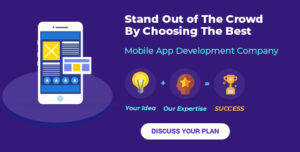 This helps in improving conversion rates which are suggested by the top mobile application development company in India. WDIPL, a leading web design service provider indicate that it is essential to be careful while using this design because overdoing it can confuse the user and take them away from your business goal.